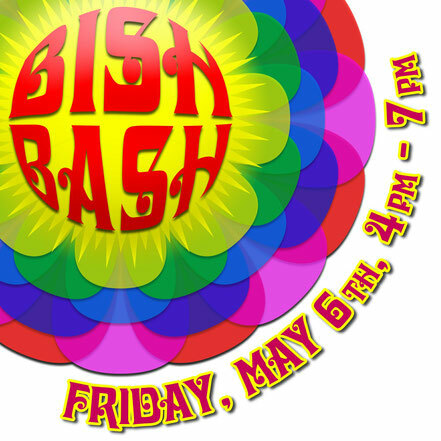 At last the BISH BASH is here! There was a moment when we thought it was going to very reminisce of Glastonbury - with people tromping through the mud and getting very messy indeed! But, it looks like the weather is going to be good to us this time around. ALL the Class Reps, all volunteer parents, the Performing Arts Department, the SLT, the PE Department, the members of staff who have volunteered their time to help out from selling tickets to helping on the stalls, the students both from the choirs and those that auditioned to take part, the Cheerleaders (Laura Bettner, Neriya Cassim, Willemijn Cooper. Molly Hutchinson. Zara Kellagher, Erin Ogolo, Alina Sarsenova, Sophia Vieira, Emily Aitken, Mia Radwanski and Beth Aitken who supports the cheerleaders), Mr Dillon Wolfe (your MC) and of course the teachers and parent performing in our very own band (keep your ears open for the announcement of the winner of the Name The Band Competition). Don't forget to bring your chairs and/or blankets to relax on in front of the main stage. Although food will be available you are more than welcome to bring a picnic. The Staff Band will be the final performance starting from around 6:30pm. The above acts will be interspersed by performances by different soloists. We really hope you enjoy this event and if you have any feedback at all please do contact us.